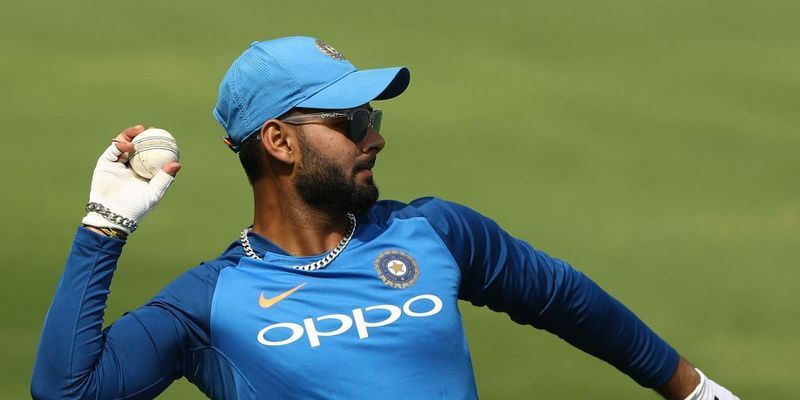 Sunil Gavaskar is surprised at Rishabh Pant's exclusion from the World Cup squad as the selectors decided to go with Dinesh Karthik as the back-up opener. However, Gavaskar has understood the fact that Karthik's better wicket-keeping abilities have earned him a spot in the squad. India have announced their 15-man squad for the high-voltage World Cup, starting May 30 in England and Wales. The selections have raised quite a few eyebrows as some frontrunners like Rishabh Pant and Ambati Rayudu have been left out and made way for Dinesh Karthik, KL Rahul and Vijay Shankar. Pant has been one of the front-runners for the World Cup berth and has been in good form for Delhi Capitals in the Indian Premier League. Former Indian skipper Sunil Gavaskar said he is little surprised on Rishabh Pant’s exclusion from India’s World Cup squad, but backed Karthik’s prowess as a wicketkeeper. Pant has been in decent form in the ongoing IPL scoring 245 runs so far. Karthik, on the other hand, has been mediocre with just 111 runs in his basket. “A bit surprised, looking at his (Pant's) form. He was batting exceptionally well, not only in the IPL but before that also. He was showing great improvement in his wicket-keeping as well. He brings that left-handed option in the top-six which is very handy against the bowlers," Gavaskar told India Today. Gavaskar emphasised on the importance of having a left hand-right hand combination in the middle, which would have been possible with Pant in the line-up. He said, “The bowlers have to change their line (for a left-hander) and the captains have to do a lot of field arrangements. On a morning when say, MSD (Mahendra Singh Dhoni) has a flu and can't play, you want somebody who is a better wicket-keeper. I think Karthik's wicket-keeping skills, more than anything, have won him this place," Gavaskar added.